Want to memorize student’s names quicker? Here is a step-by-step tutorial on how to use Moodle’s feature Roster. 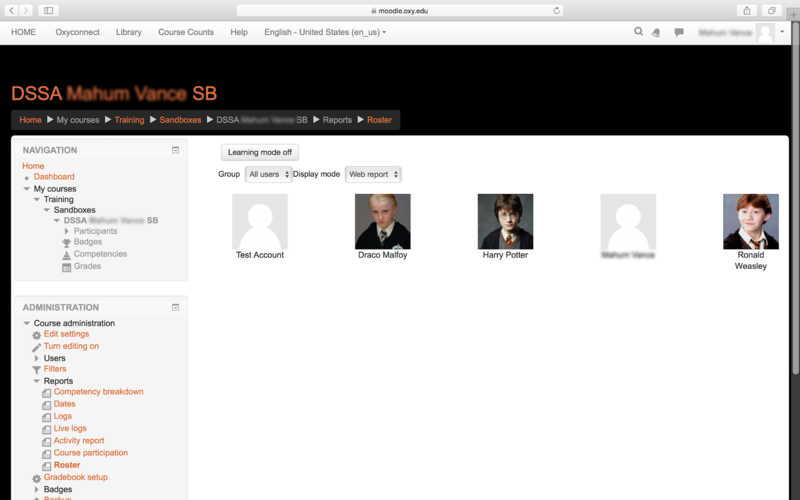 This allows professors to learn their class roster by matching students with facial identification. 1. 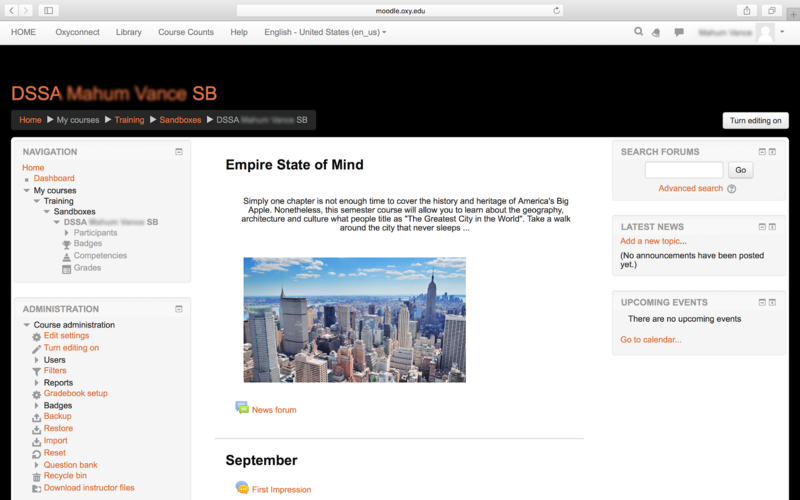 Enter the specific class page through Moodle. 2. 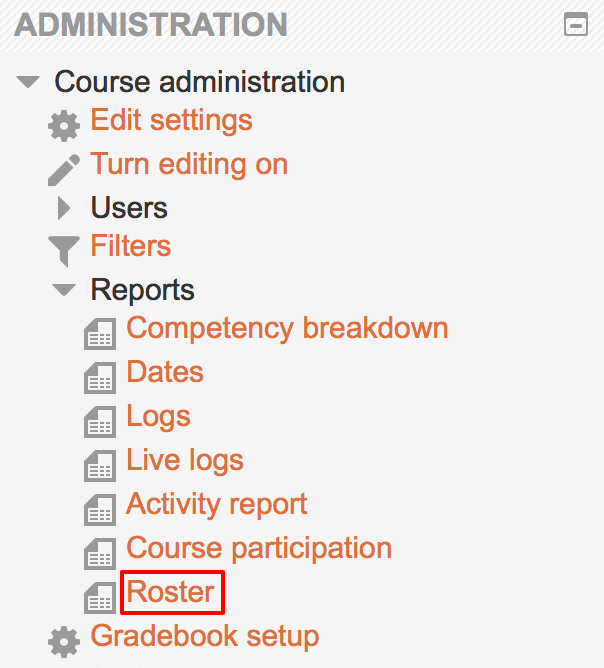 In the Administration section, ‘Roster’ is located under the Reports tab. 3. A complete list of students will appear along with their facial identification. 4. By turning “Learning Mode On’, the names will disappear assisting the professor with the memorization process.